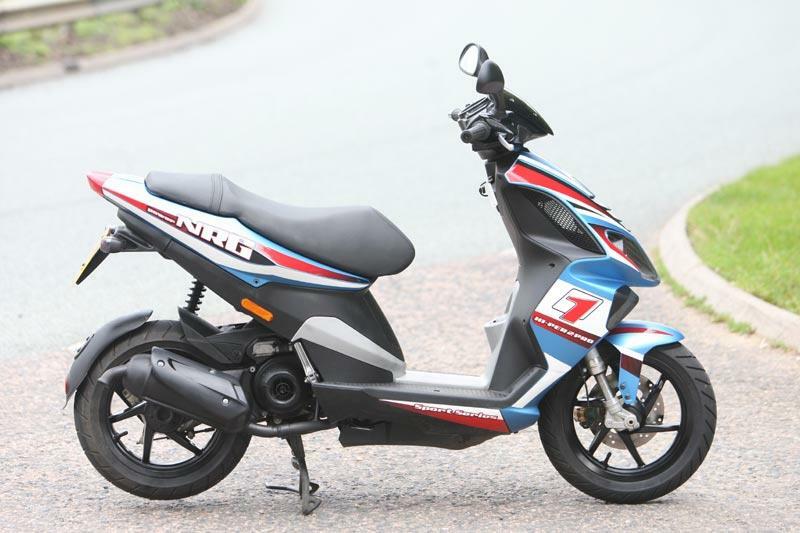 My son is turning 16 in a few months and has asked me if for his birthday he can take his lessons and get a scooter which is no problem but I do need a little advice in the bike purchasing area. I understand for a 16-year old that a 50cc is the most powerful engine they are legally allowed to ride. He has shown me some second-hand 50cc scooter online EDIT: http://www.for-sale.co.uk/50cc-mopeds this one. and they look pretty beaten up but they are ''what everyone wants'' but for the same price I can go into a Piaggio dealership and buy a brand new bike. What would you guys suggest I do? what is the better choice? Let's say the second-hand scooter isn't a bad choice, what kind of things should I be looking out for when going to test ride? is there anything known for going wrong with scooters in general? I would greatly appreciate any info that you can share with me! If there is anything that I should know and that you pros have learned, please share! Last edited by freeriders on Fri Oct 06, 2017 12:20 am, edited 1 time in total. By new, do you really need someone elses troubles? Price points the same or very close. new (with warranty) is good for your first scooter. low miles used is good if you have some experience. and have access to parts .